ArtHaus Gallerists James Bacchi and Annette Schutz, along with the Northern California Chapter of the ASID, invite you and a guest to ArtHaus for a very special evening. EVENT UPDATE – Please note we have been told this is now a private event and is not intended for the general public. Meet James Dieter, and discover disco chandeliers defining the next generation of new designer pendant lights. 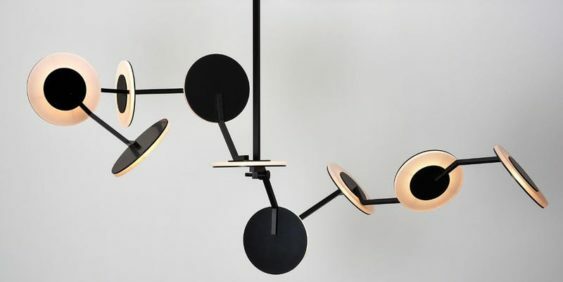 Perfectly combining beauty, flexibility and functionality into this undoubtedly lustrous pendant light, the discs seemingly float and dance, suspended in the air, softly lighting up the interior. Enjoy champagne Heart Throbs, hand crafted bites and get your groove on with DJ Nate Seider.